Meet the amazing team that make up the Stafford Dental Practice. Born local to Stafford, Jason’s undergraduate training was at The Royal London Hospital, Whitechapel, qualifying in 1987. In many ways a fantastic grounding for the future. His first job was in Boston, Lincolnshire where he was fortunate to work in a practice that allowed him to learn his trade. Paul Meyer still provides all of the denture work for this practice, opened in 1991. As a step up the skill ladder, the Masters course at Birmingham Dental School was the catalyst for a move to the current site on Wolverhampton Road. The goal has always been to exceed today’s standards and to enjoy dentistry. 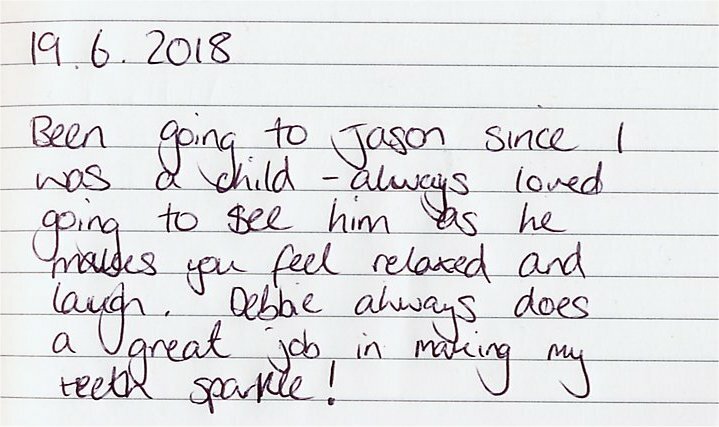 Jason made me feel so at ease having not been to the dentist for over 13 years, his warm personality and professionalism has meant I now actually enjoy the dentist! Shamim and Jason both qualified from The Royal London Hospital, Whitechapel. Shamim worked in a large and successful practice in Slough until 1999 when she married Jason and moved up to Staffordshire. Preferring to divert her skills towards the very satisfying and fulfilling practice of facial aesthetics, which when used in conjunction with skilled dentistry can transform a person’s appearance. She has the subtle touch essential to avoid the more public misconceptions of the art. Shamim, you are a true magician of your art... you took 10 years off me. Now I just need a husband 30 years younger. Chris has has completed advanced training courses since graduating in 2013 and also brings an enthusiasm and passion to the practice. 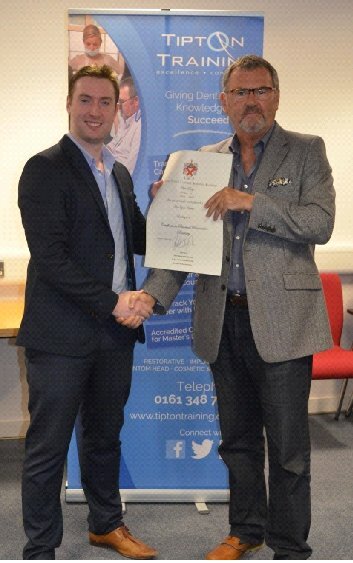 Chris has passed the British Academy of Restorative Dentistry (BARD) exam as part of the Tipton Training course as well as attending training at the Dawson Academy UK. A very exciting addition to our team!! Debbie has been a hygienist since 1982, having first been a dental nurse. She is of course passionate about the profession and works to maintain the highest standards by exceeding the training requirements for the job. She is proud to build good relationships with her patients and has good empathy with nervous patients. We are very pleased to have a friendly and understanding character such as Debbie as our hygienist, adding many strengths to our team. Jodi worked with us for many years before starting her family. A few years later, now married and with a beautiful daughter she has returned to the team, and we're very happy to have her back! Kinu is one of our skilled Dental Nurses who joined our team at the end of 2017. While she is relatively new to our team, she has settled in very well. We're very happy to have her with us and she brings a new perspective to the practice. Kerrianne is usually your first point of contact at The Stafford Dental Practice and has been here since 2006. Coming from Stafford, she has a great rapport with our patients and will make you feel very welcome while you wait. Kerrianne is a pleasure to see on my visits, she is very pleasant, friendly and treats everyone respectfully. The LVL lash lift is the revolutionary lash phenomenon that reveals your natural lashes in all their glory. 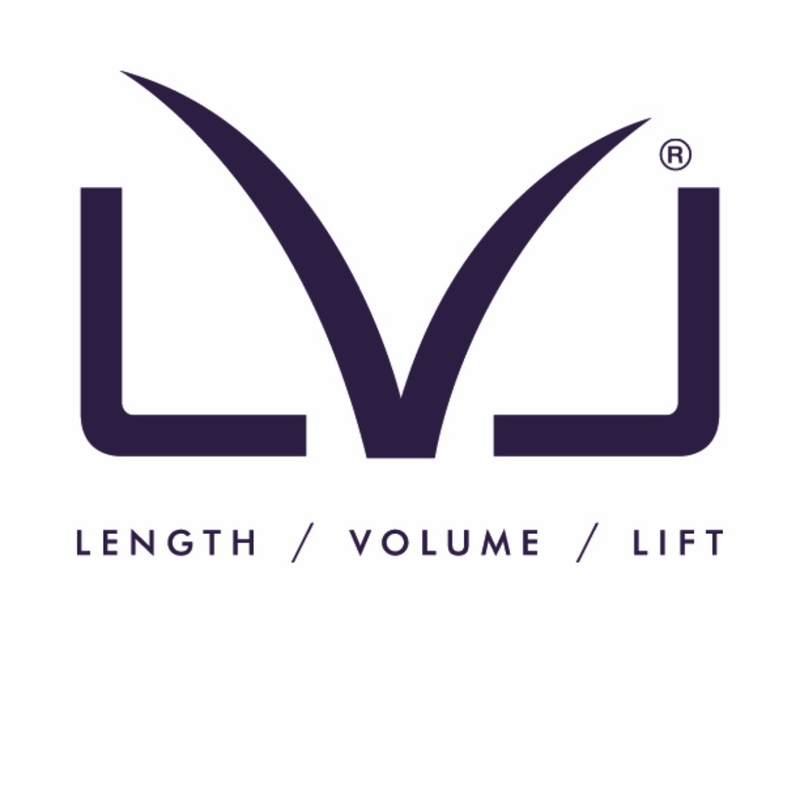 Exclusive to Nouveau Lashes, the LVL effect is about freedom. It’s about knowing your eyes will be centre of attention. Without you having to do a thing. Make the most of what nature gave you. With length, volume and lift effect LVL. Contact me on 07966766316 for further information. Jayne's role at our practice is to keep us and our books in order, and she does a very good job of it too!